In celebration of the 100th anniversary of the founding of the De Stijl art movement in the Netherlands, Mathijs Meinderts will present a lecture exploring the extraordinary life of Gerrit Rietveld, an Utrecht native and architect of the famous Rietveld Schröder house. Rietveld began his career making radical chair designs and went on to work closely with artists and designers such as Piet Mondrian and Theo van Doesburg, whose painting Tree (1916) is a noted work in the Portland Art Museum’s permanent collection. This lecture is a partnership with the Portland Utrecht Network. 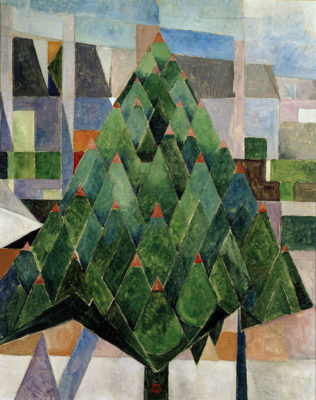 Ticket holders are encouraged to come early to take a closer look at the De Stijl painting Tree by Theo Van Doesburg which will be available for viewing from 5:15-6:30 p.m. prior to the lecture.